Gringo Records - FISTS - "Phantasm"
Nottingham-based 5-piece Fists return with their long-awaited album Phantasm, recorded with producer Rory Brattwell (Palma Violets, The Vaccines, Yuck, Male Bonding, Veronica Falls, Peace) at Lightship95, the huge floating studio moored near the Thames barrier. 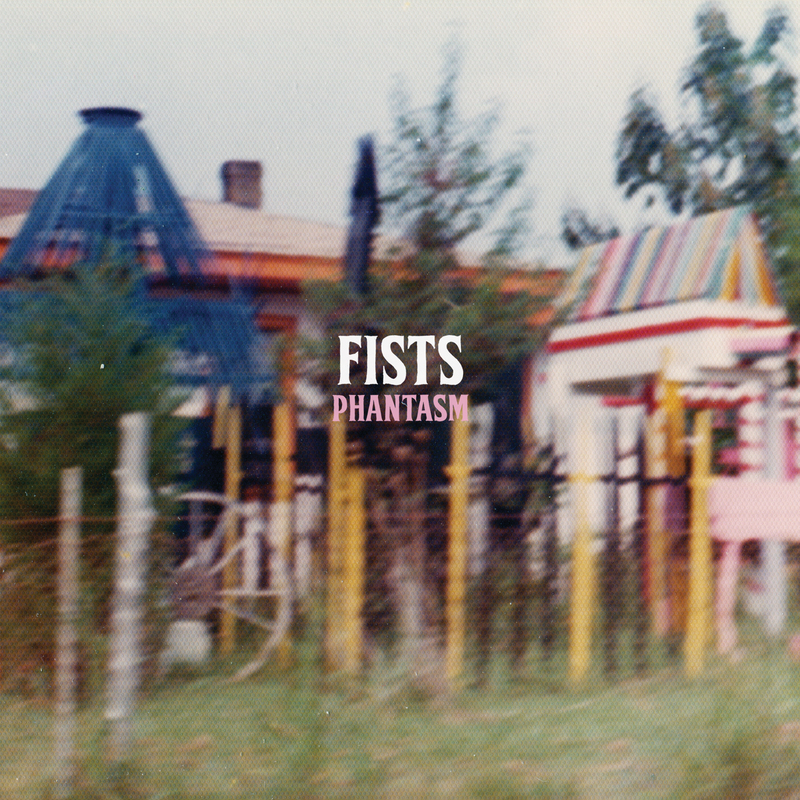 Phantasm shows off Fists’ kaleidoscopic DIY sound in all its glory - from the insistent skiffle punk of opener GO to the lilting country-tinged pop of SOLVENT and the tender TRY; from the muscular, slightly unhinged groove of FLANEUR and the burst of electricity that is STRAW DOG to the hypnotic, haunting mantra of YR GLOVE. Phantasm is a robust set of 11 songs bristling with tension and bursting with invention and heart. Fists’ unique DIY sound is informed by The Breeders, Yo La Tengo, The Monks, Thee Oh Sees, Jonathan Richman & The Modern Lovers, Daniel Johnston and much more. In 2012 Fists were invited by Obits (Sub Pop) to join them on their sold out East Coast US tour. Previous Fists singles - Cockatoo/Skit, the Olympic Hits EP and Ascending/Stag - have all received support and airplay from BBC 6 Music, Radio 1, Radio 2 and XFM. Co-released with Hello Thor Records. Recorded by Bratwell Recordings at Lightship95. Mastered by Carl Saff at Saff Mastering. 500 copies on 180g black vinyl. Reverse-board printed sleeve. Comes with digital download code.